The wellbeing of local people is an integral part of a conservation management plan. People living surrounded by nature would prefer to conserve it for generations to come. 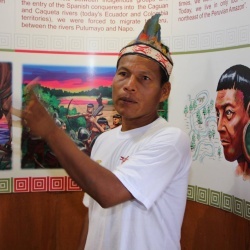 Nature and Culture International supports in securing a sustainable livelihood across South America. Nature & Culture partners with biologists from local universities to determine sustainable methods of harvesting natural resources, and then assists with the selling to companies that are committed to best business practices, such as Natura, a large Brazilian cosmetics company that ranks as one of the world’s greenest businesses today. 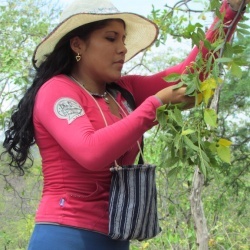 We are helping communities obtain a sustainable source of income while protecting the endangered dry forest of southern Ecuador. We are helping indigenous women in Peru develop sustainable livelihoods by creating a market for their hand woven baskets. 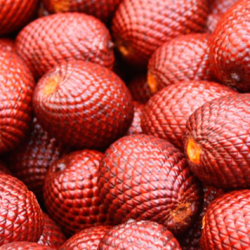 We are helping communities in the Peruvian Amazon sustainably harvest and sell this super fruit as a means of protecting vast rainforests. 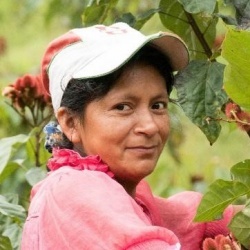 We work with communities to reforest their land while offering an additional, sustainable source of income in the Zamora Chinchipe Province. 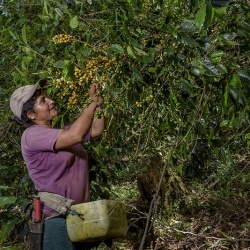 We train communities in Peru to develop sustainable livelihoods by creating a market for sustainably harvested coffee. We assisted the Maijuna community in the Peruvian Amazon to enhance their culture through the creation of a cultural education center that provides income for the community members.